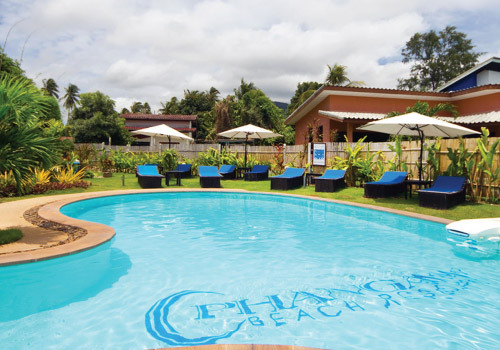 We have a great selection of accommodation at Phangan Beach Resort for all tastes and budget. From our Beach front rooms which are our most popular rooms for amazing value for money to our more traditional fan rooms that are great hit with our younger guests, we have something for everyone at Phangan Beach Resort. 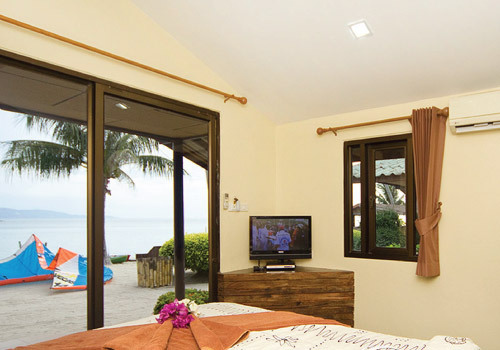 Beachfront Deluxe Villa offers air conditioning, a flat-screen TV, DVD player and minibar. 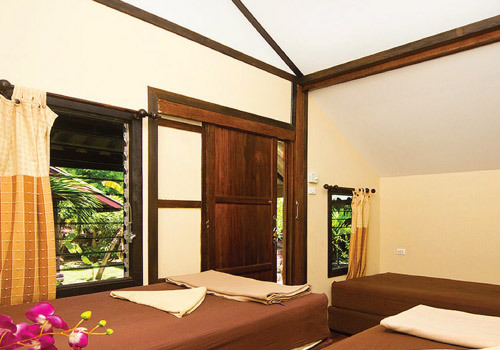 Beachfront Bungalow offers air conditioning, a flat-screen TV, DVD player and minibar. Beachfront, air-conditioned bungalow offers a fridge and TV with cable channels. Bathroom has hot shower. 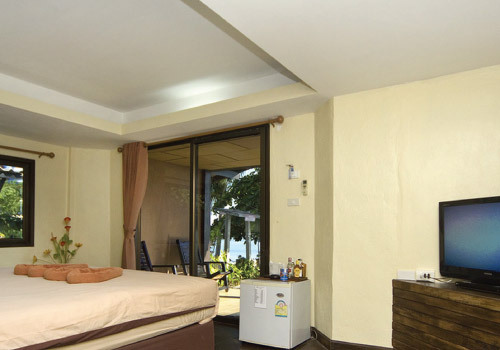 Air-conditioned room offers a TV with cable channels and bathroom with hot shower facilities. This fan room features a seating area and a private balcony.